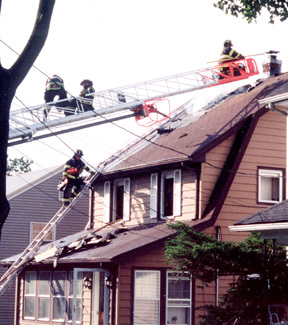 Early Sunday evening on Father's Day, June 16, 2002, the Hasbrouck Heights Fire Department responded to a house fire at 235 Cleveland Avenue. 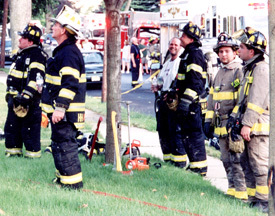 There was Mutual Aid response from Wood-Ridge, Lodi and Moonachie with an ambulance from Hackensack and Teaneck's Box 54 Club. 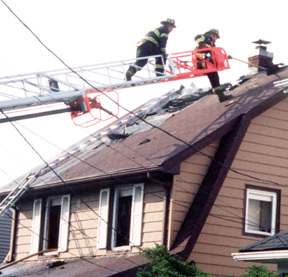 While setting up a ladder in the rear of the home, a member of the HH Fire Department was injured when a sky light slid off the roof and fell on him. He sustained head and shoulder injuries and was taken to the Hackensack Medical Center where he was treated and later released. Several firefighters were treated for heat and smoke inhalation. No other serious injuries were reported. 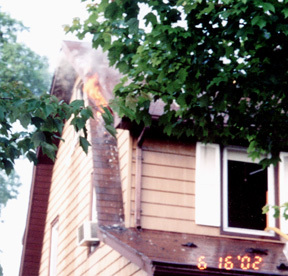 The fire was caused by lightning bolt striking the chimney, with flames quickly spreading in the attic area. 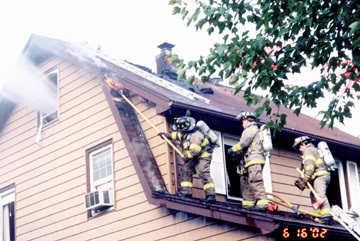 It took about 35 minutes to contain the fire and it was fully extinguished within an hour. 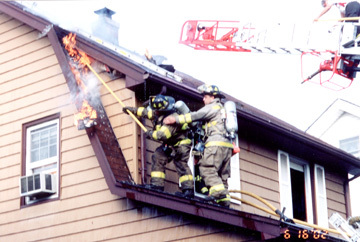 Teams stood by for about two hours checking for extensions of the fire. The first and second floors sustained only smoke and water damage. 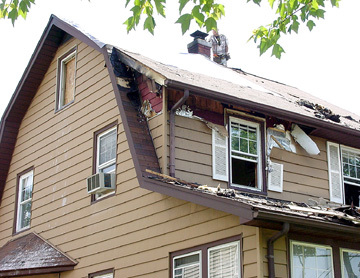 According to an insurance investigator, there was extensive damage to the roof rafters. Officials said the 70 year old structure was salvageable. 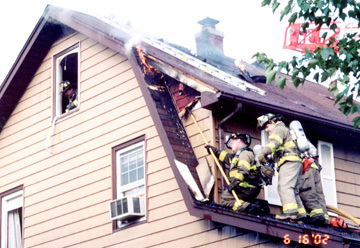 The occupants were not home at time of the fire. 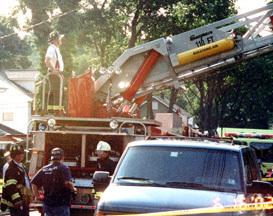 Worker tarping the roof and reviewing the damage on June 17, 2002.